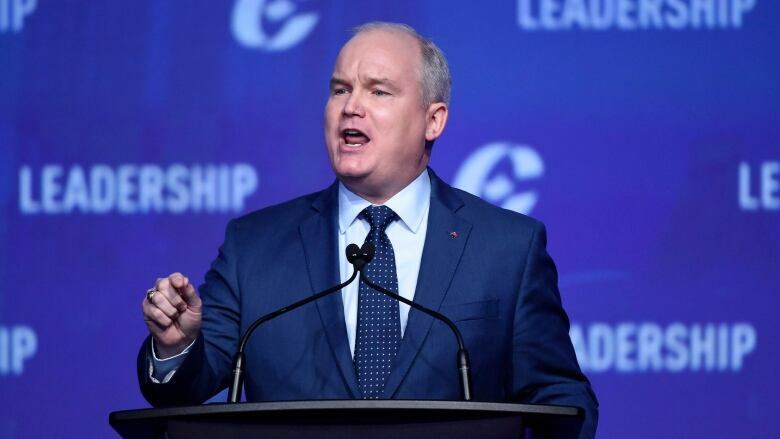 MP Erin O'Toole has decided not to run for the Ontario PC leadership and instead is backing Christine Elliott, who joined the race on Thursday. Former Toronto city councillor Doug Ford is also bidding to replace Patrick Brown. Conservative MP Erin O'Toole is taking a pass on running for the Ontario Progressive Conservative leadership, CBC has learned, and is instead backing Christine Elliott. O'Toole, the Conservative federal member for Durham, had considered running to replace Patrick Brown, who stepped down last week amid sexual misconduct allegations. O'Toole told CBC in an interview Friday that he and many others encouraged Elliott to run. "She is ready to be premier right now," he said. "She has the experience and trust of Ontarians and I'm very happy to throw all of my support behind Christine to bring the PC Party together and be ready to win and become premier in 125 days." O'Toole said given the Ontario election is around the corner on June 7, the party should elect a leader who has campaign experience, knows Queen's Park and the caucus well and can take on Premier Kathleen Wynne. "If we underestimate Kathleen Wynne we are going to be in trouble, so we we need someone ready now," he said. Former Toronto city councillor Doug Ford announced Monday he is going for the job, and Caroline Mulroney is going to enter the race but hasn't officially announced it yet. She has never run for office before, and she could be joined by another first-time candidate, Rod Phillips, who is also hinting he will join the race. O'Toole didn't mention their names specifically but he said there are "terrific" candidates running who will be great additions to the PC team at Queen's Park, but that Elliott is the best choice for leader. He said he will help Elliott's campaign in any way he can. He also backed her the last time she ran for the leadership against Brown in 2015. Elliott indicated Thursday she's in the race, with a Tweet saying, "I'm in!" She told CBC Radio's Here And Now on Friday that the party needs someone with experience in the legislature. "I'm ready to go and that's what we need." The former MPP left politics in 2015, a few months after losing the last PC leadership contest. 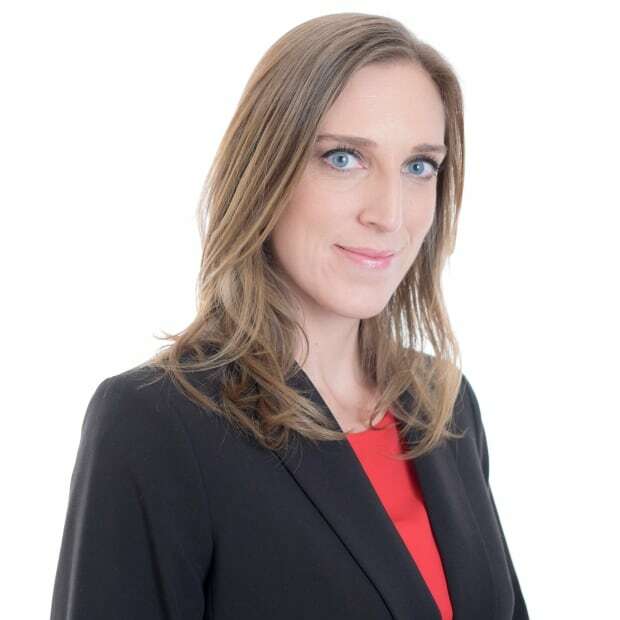 She had represented the riding of Whitby-Oshawa since 2006, the same riding her late husband Jim Flaherty represented when he was in provincial politics. Flaherty, who served as finance minister in Stephen Harper's government in Ottawa, died in 2014. Elliott went on to take a job offered by Liberal Premier Kathleen Wynne. The premier appointed Elliott as Ontario's patient ombudsman in 2016. Elliott resigned on Thursday. This is Elliott's third time running for the Ontario PC leadership. When she ran against Brown, she had solid support from fellow caucus members. Some of them are rallying behind her again. 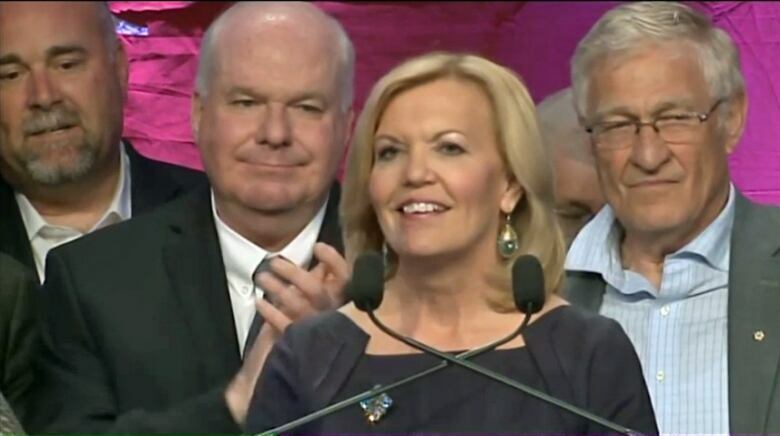 Jim Wilson, the Ontario PC House leader, tweeted Friday that Elliott has his "full support, is the best person for the job and will be the next Premier of Ontario." Lorne Coe, the MPP for Elliott's old riding of Whitby-Oshawa, also offered his endorsement. "She is an exceptional person, compassionate, with unparalleled understanding of provincial issues, and the parliamentary experience needed to bring Ontarians the government that they deserve," he wrote on Facebook. Brown, who was a Conservative MP before shifting to provincial politics, resigned as leader following a media report containing unproven allegations of sexual misconduct made by two women. He has denied the allegations and vowed to fight them. O'Toole said Friday he's known Brown for 15 years and did reach out to him following his resignation. "Certainly I think he intends to try to rebut some of the allegations made against him and that's his right to so," said O'Toole. He said the allegations against Brown were "troubling" and that what's happened to the PC Party over the last week has been "a disappointing period." Rick Dykstra, another former MP that O'Toole has known for years, stepped down as Ontario's PC Party president on Sunday, hours before Maclean's published a story about an allegation that Dykstra sexually assaulted a woman in 2014. The allegation has not been proven in court and Dykstra has not commented on it. Conservative Party officials reportedly knew about the allegation and still allowed him to run in the 2015 federal election. O'Toole said he supports Conservative Leader Andrew Scheer's decision to investigate the matter.